Nowhere will country feel more vast & open, stars brighter, & evening breezes more peaceful. W/ all the ambiance of a rustic mountain lodge, home never felt so right. 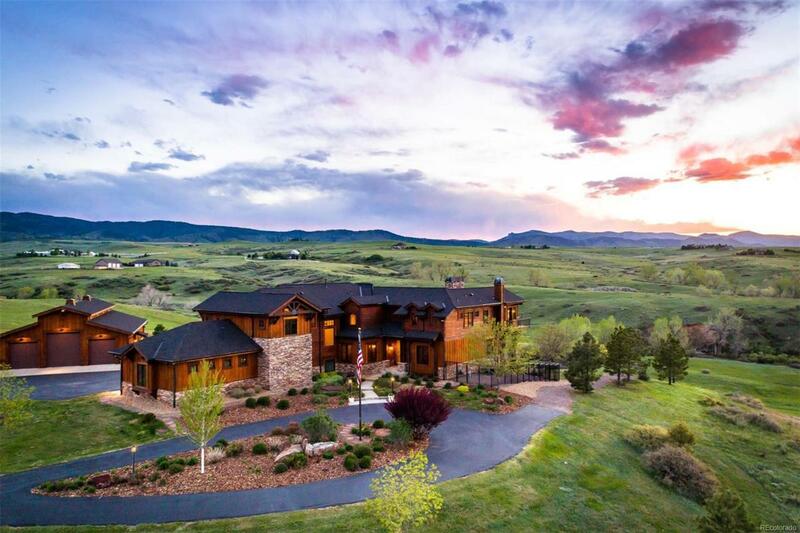 From a gated entrance to 22' ceilings, grandeur & sweeping views surround every acre. Scale of home subtly transitions from grand rooms that could accommodate any cowboy in 10-gallon hat, to intimate spaces that soothe the soul. Backs to 346 acres of conserved land, accessible to residents. Master suite has vaulted beam ceilings, forever views, reading area, fireplace. Executive study on main level opens to covered deck with spectacular views. Staircase leads to private guest apartment as nice as any home. 40x60 insulated garage/workshop -Steel with 27' ceilings, 14' bay door + two 10' doors. Heated + cooling fans, natural light, sealed storage area, hay drop, & hot/cold water. Barn ready for final finishes w/ room for 4 stalls & tack room. Flat land is the perfect spot for a future arena. Access to riding trails. Association Name Primary Advanced Hoa Management Inc./Lambert Ranch Assoc.